The 2019 meeting of the Irish Fungal Society will be held in conjunction with the Microbiology Society and will take place on April 11th 2019 at the Belfast Waterfront. The event will take place as part of the 2019 Microbiology Society conference, which runs from Monday 8th to Thursday 11th April. The IFS will be coordinating a session during this meeting on the morning of Thursday 11th to be followed by the IFS AGM. We will be inviting our members to submit offered papers and clinical case studies in addition to a selection of invited speakers. Membership of the Microbiology Society will mean that members can benefit from reduced registration rates and we would encourage IFS members to join the Microbiology society. Further information on the full meeting programme is available through this link. https://microbiologysociety.org/event/society-events-and-meetings/annual-conference.html#tab-0. 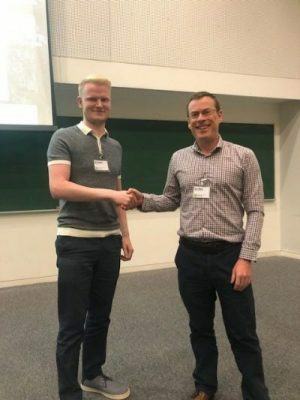 Congratulations to Eoin O’Connor who won the Journal of Fungi prize for the best oral presentation at the Irish Fungal Society Annual Meeting. 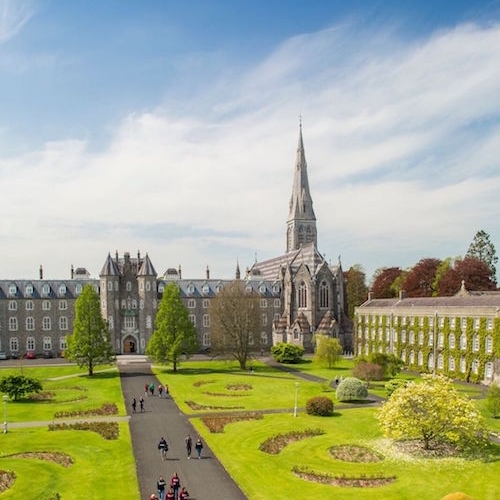 Eoin’s PhD is involves researchers from Maynooth University, Teagasc and Swansea University and is entitled “Visualisation of MVX RNA in the mycelium of Agaricus bisposus by fluorescence in situ hybridization”. The findings have been published in Mycoses: https://doi.org/10.1111/myc.12770. 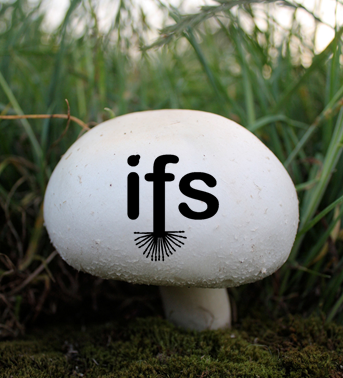 The Journal of Fungi have generously offered to sponsor a prize for the best student or postdoc presentation at IFS 2018. There will be a prize of CHF200 for the best oral presentation. Please send your abstracts to irishfungalsoc@gmail.com to enter. The Journal of Fungi is a PubMed indexed open access journal. 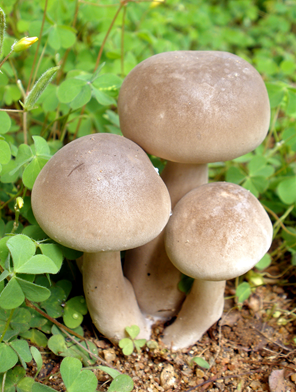 The journal publishes all aspects of fungal research in a quarterly mode http://www.mdpi.com/journal/jof. IFS has been granted Charitable status by the Irish Charities regulator, and the details of the Society are now publicly viewable on the Charities regulator website: https://charitiesregister.ie/. Our Registered Charity Number (RCN) is 20154295. The date and venue for the 2018 Annual Meeting have been set. Dr. Ozgur Bayram would like to invite you all to Maynooth University on June 18th-19th 2018 for our annual get together. Please add the date to your diary. More details will follow. We hope all of you enjoyed IFS2017 in LIT. Congratulations to all of our speakers and session chairs for doing a great job. 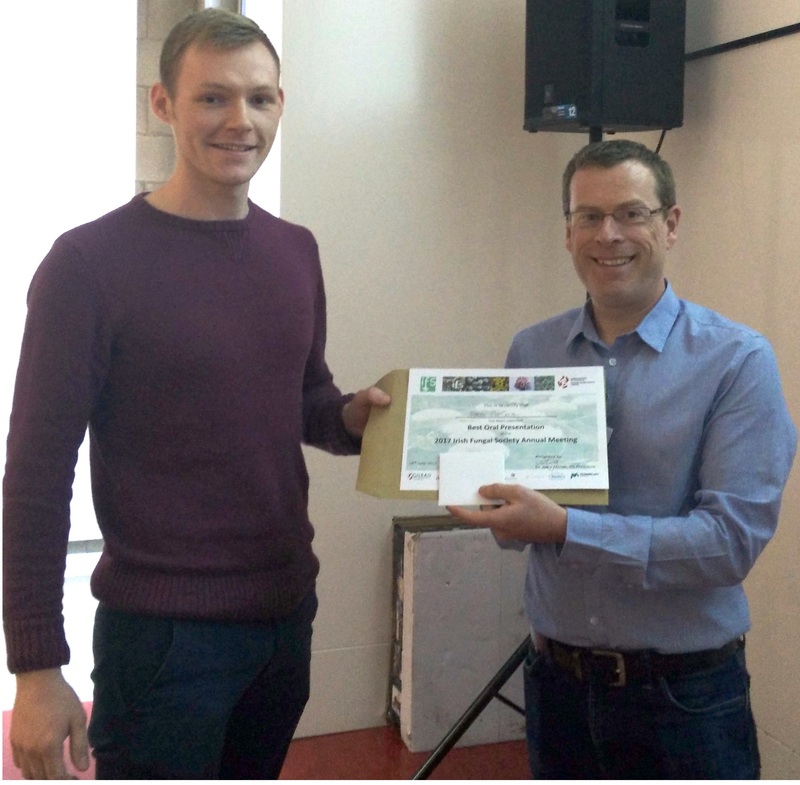 A special mention for Lisa Lombardi (UCD) for winning the prize for best poster presentation and Jamie McGowan (Maynooth University) for winning the prize for best oral presentation. Thanks again to Catherine Collins and her team for all of their hard work to make this happen. Prof. Ken Wolfe has been elected a Fellow of the Royal Society, one of only six scientists in Ireland to receive this accolade. The IFS would like to extend their congratulations to Ken, who has been a member of the society since its foundation. He now joins the ranks of the Royal society which includes Richard Dawkins and Stephen Hawking for his pioneering work on genome evolution in Saccharomyces cerevisiae. Registration is now officially open for the 2017 IFS meeting in LIT, June 15th-16th. Details of the meeting and registration are available here! 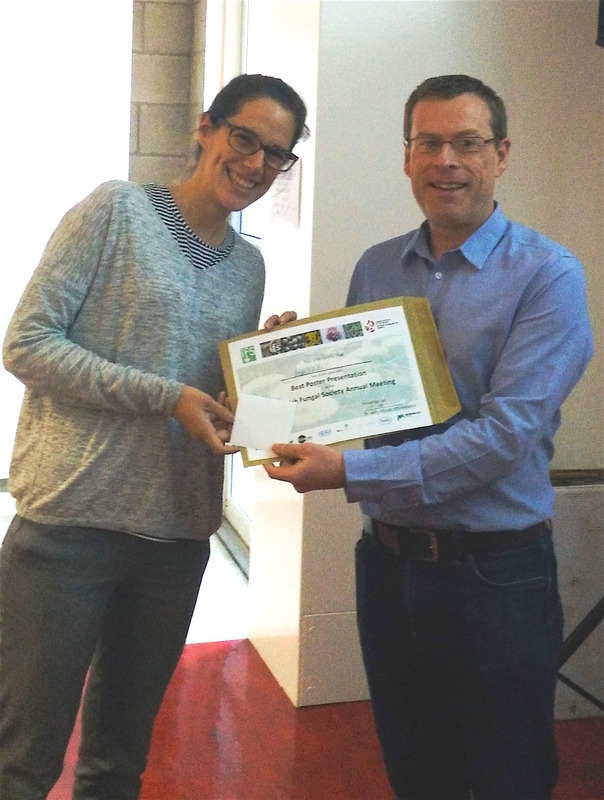 The Irish Fungal Society will be looking to fill two executive committee posts this summer, as David Fitzpatrick (Treasurer) and Maria Tuohy (Secretary) will complete their 3-year tenure this June. Please send any expressions of interest to e-mail Gary Moran. These positions are open to any member of the society. Please, e-mail if you would like to know more about the responsibilities associated with the roles of Treasurer and Secretary. Recent research by Prof. Tom Rogers and colleagues at St. James’s Hospital and Nijmegen, the Netherlands, has highlighted a role for imported plant bulbs in inter-country transfer of azole-resistant Aspergillus fumigatus. Findings were recently published in Clinical Infectious Diseases: More info here! 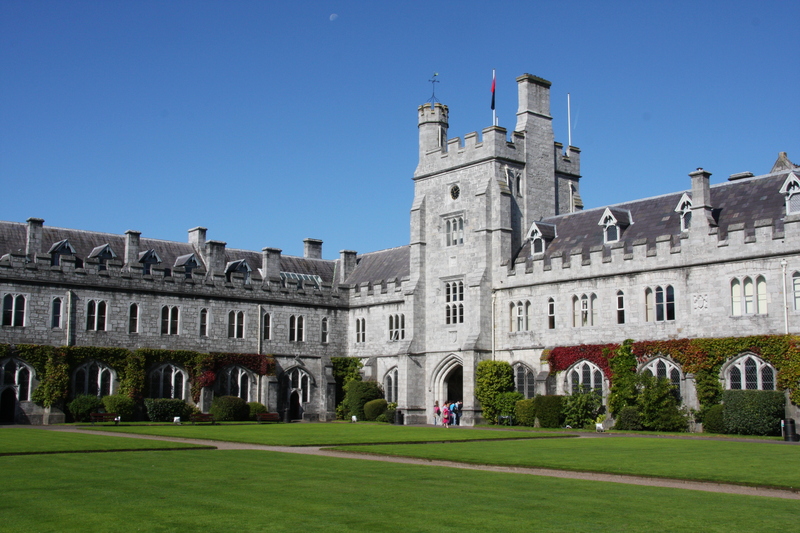 The 33rd International Specialised Symposium on Yeast (ISSY33) will take place in University College Cork organised by the International Commission on Yeasts, with support from the Microbiology Society. The title of the meeting is ‘Exploring and Engineering Yeasts for Industrial Application’ and will take place on June 26-29 June 2017. 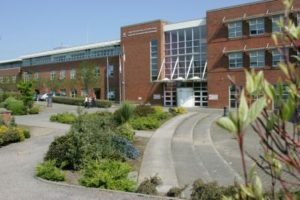 The 2017 Annual Scientific meeting will take place in Limerick Institute of Technology on June 15th-16th 2017. The meeting is being coordinated by Catherine Collins and will take place over 2 days. It is anticipated that the meeting will be our usual mix of clinical research, basic sciences and biotechnology. Please put the date in your diaries! 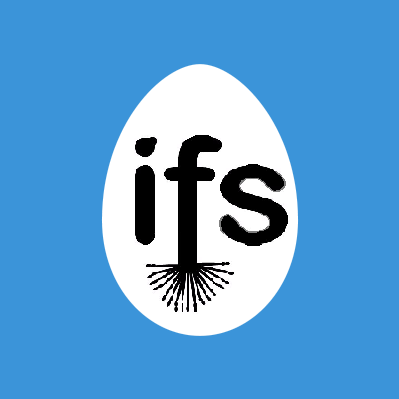 You can now follow the IFS on Twitter. Please follow us at @IrishFungalSoc for updates on the society and general mycological news.